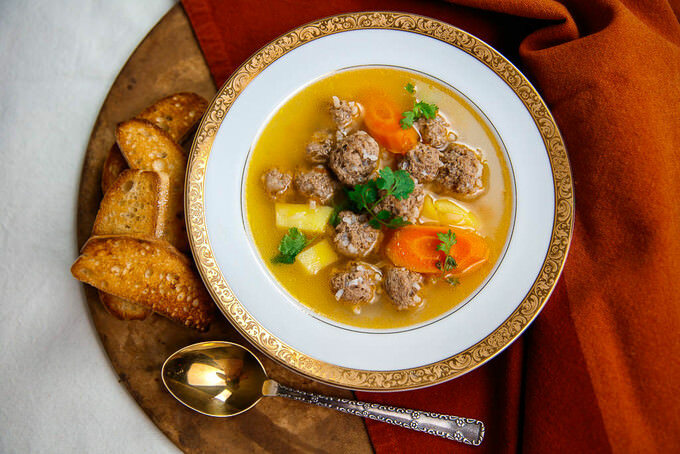 World’s Best meatball soup recipe coming your way! The biggest reason why it is the best and the easiest is that it is made by utilizing a pressure cooker or a multi-cooker which in the U.S. goes by the name of Instant Pot. Three words, rustic, rich, flavorful! I think these would be the best words to describe this eggplant soup. Read along to find a perfect comfort delight! 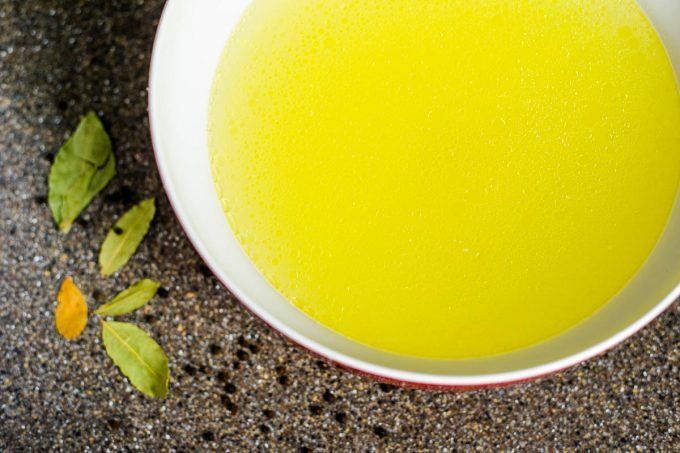 Today I am introducing you to my mother-in-law’s Solyanka recipe. 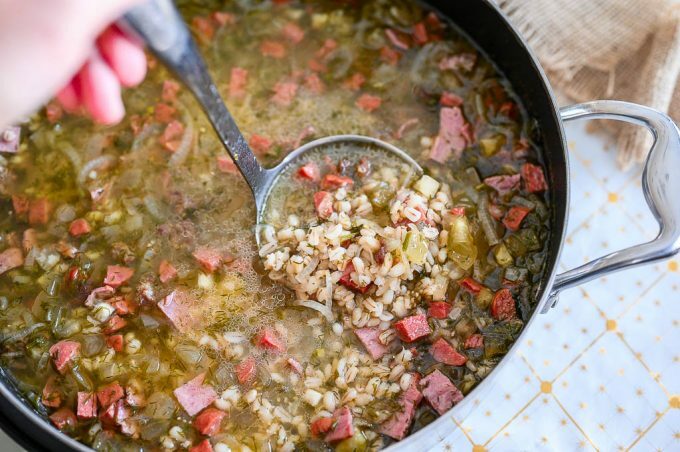 This soup is native to Russian households and kitchens. It has a gentle tangy or sour taste because of the pickles. It is also carefully balanced with other ingredients. This Creamy Chicken Soup Recipe is one of few ways I enjoy chicken in the soup. So creamy and so delicious. Along with the homemade noodles, it goes down quite well. 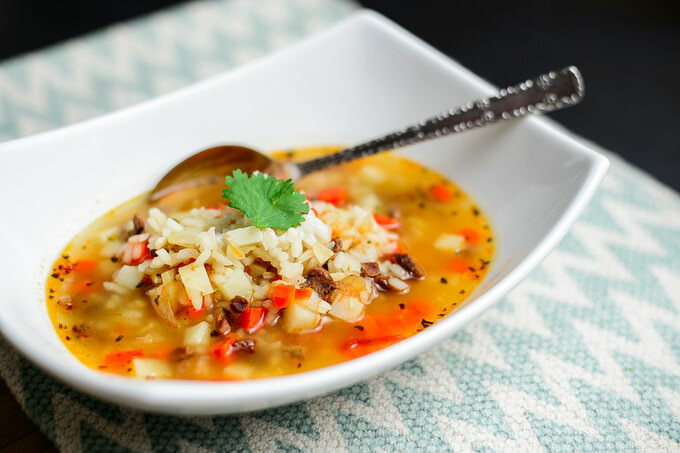 This might as well be a perfect comfort soup. 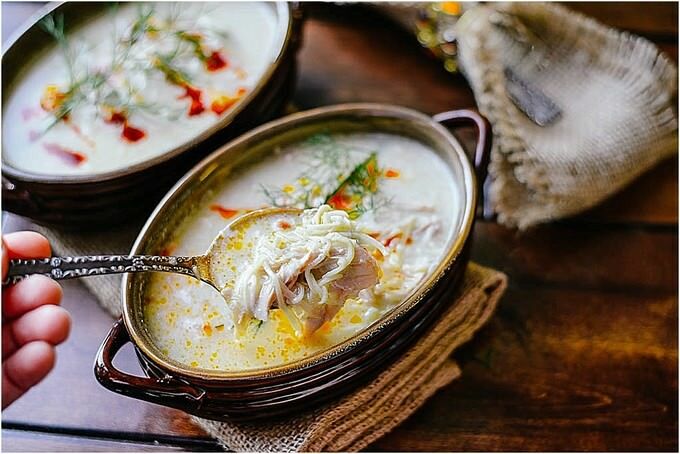 I really hope you like this creamy chicken soup recipe. Have you ever tried Clay Pot soups? 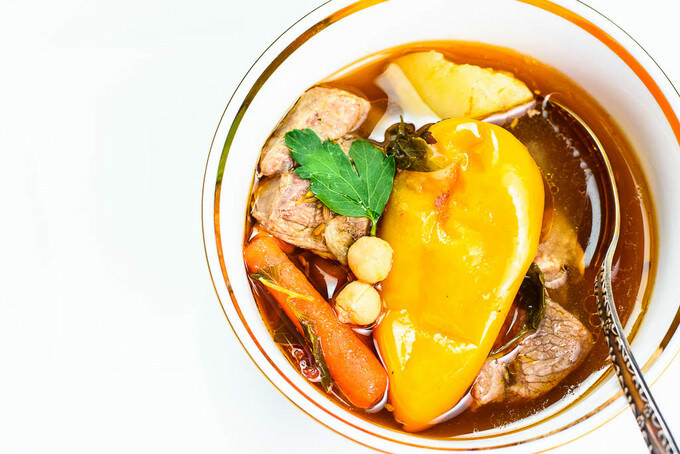 If you have not, this is your chance to use this clay pot soup recipe and make yourself one using this clay pot soup recipe. For me cooking this soup in a pot associates with my childhood. My mother used to make the best clay pot soups ever. 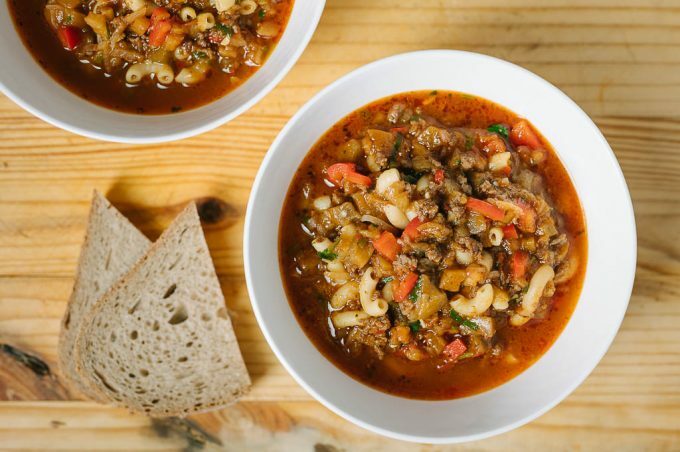 Uzbeks call this soup Ko’za Sho’rva. While soups can and are made using different mediums like cast iron, enamel pots and other metals, clay pots offer a different type of comfort, beauty, taste and authenticity. There are great health benefits in cooking in these pots, too. Let’s see what benefits come with cooking in a clay pot. 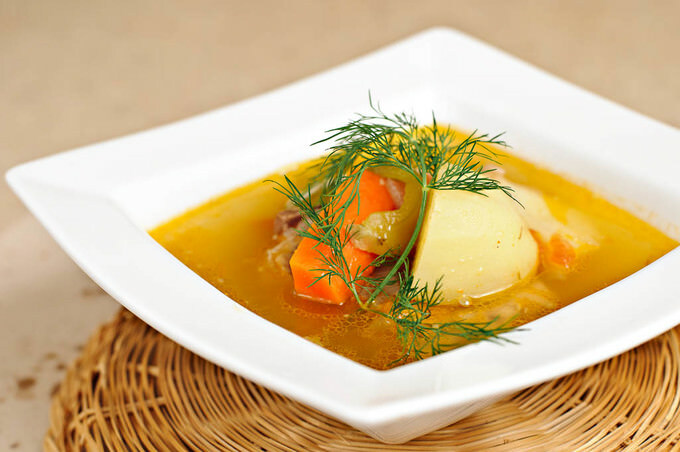 This is a very traditional Uzbek soup which is warming and refreshing at the same time. Whenever I am tired from eating too much of the solid foods, I whip this beef and rice soup (also called “Mastava” in Uzbek) very easily. It doesn’t require much time and is a very good choice when you are under the weather. It is indeed a great comfort food! Mastava goes very easy on your stomach and tastes great with the addition of yogurt and fresh or dry herbs. My children eat it with delight. There are many famous dishes in the world, claimed by several nations to be historically theirs. Some nations go further by telling that this or that dish symbolizes their national identity. Down the road we will be dealing with many such recipes. In this blog I am not intended to fuel this sort of disputes, rather I view all recipes as world heritage and of course I will try to trace the historical origin to give rightful credit to claiming sides. Today I present to your judgment one version of borscht, cabbage soup, which is claimed by Russians and Ukrainians. Both of them are Slavic nations and that is the uniting part. 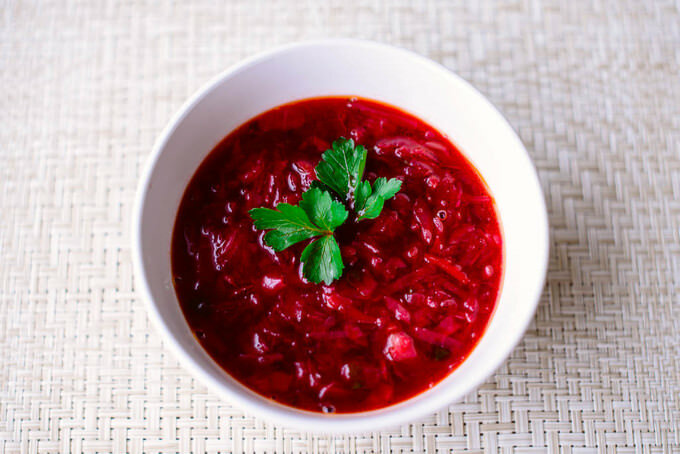 Red Borscht became very popular in former soviet states. There are little deviations in Red Borscht recipe and the funny part is that most of them are claimed to be either original or classic. Personally I do not believe in originality, you modify or improvise as you wish as long as you keep the essential ingredients and cooking pattern or you risk to invent completely different dish. We are going to publish different versions of borscht, you choose which one is closer to your taste. I started with the one we like the most.